The gentle formulation combines mineral pigments with nourishing botanical ingredients such as anthyllis, quince wax and shea butter to soothe and moisturize for a silky soft finish. Thank you for an eye product that my apparently sensitive eyes can handle, every day! I enjoy many of the colors. LOVE Dr. Hauschka's organic products! I purchased the peach/pink eye definer really makes my eyes look bigger, brighter, as if there is sunshine in the room. The color glides on my skin. The effect is tremendously noticeable. When I use it it makes my eyes stand out and almost sparkle. I also bought the green eye definer which is awesome. Not every cosmetic firms offer such unusual colors. Throwing my other eyeliner pencil away! Seriously, this is the greatest eye liner pencil. It goes on so easily, and knowing that I am using a product that has all natural ingredients make's me feel great. 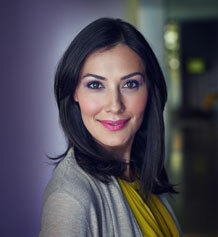 Be sure to buy the sharpener that Dr. Hauschka has available. With this duo, this eyeliner will last a long time! I Love this product!!! It does not irritate my eyes at all! I have been using this eyeliner for several years now--love the way it goes on and last all day! What a great product! Goes on smoothly, lasts all day, great pigment and smudges beautifully with the sponge applicator at the end. Looks and feels like a professional applied it. Nice, smooth and quality, does not break when sharpening. I love the way the eyeliner goes on....so easy. Lots of good color options. While it is perfect for sensitive skin, it is not effective for use as an eyebrow pencil. The pencil would need to have a hard and thinner pencil tip to create feather-like strokes to fill in and color thinning eyebrow hairs. Goes on smooth, lovely color..
Bought the black and purple and am very pleased. Smooth to apply, nice color. I started using the Dr Hauschka products in the early eighties in Germany. They never disappoint. I like the texture of this pencil but not the shade. It's a great product. I have allergies and this brand is the only one I found that does not cause any burning of the eyes. I am far sighted and when putting my makeup on the pencil is too long for me to get close enough to the mirror. eyeliners are usually not easy. They can smear or be difficult to apply. This eyeliner goes on smoothly and stays on all day. I would have liked the exact sharpener to go with it. I don't wear a lot of make up for many reasons, but this eyeliner has changed my mind. It goes on easy, I have hooded eyelids and the skin is a little loser. The eyeliner goes on smooth. The only thing is it can smear as the day goes on, but that could be because of my eyelids. I love how well this liner blends and it’s staying power! Soft, easy to use eye pencil. Lovely color. The sponge end is very nice to have. Great blue color. Smudges well and stays on all day. It also doesn’t irritate the very sensitive skin around my eyes (that sometimes develops a rash when the weather changes). Excellent and glides on easily and lasts all day! I’ve tried a lot of eyeliners. This one is smooth and the plum color is gorgeous, almost black. I really like it! I bought brown (lovely shade), and use it daily. It goes on easily, and the brush on the other side is a great help. It smudges just a bit, but only after a few hours of wear, so this is to be expected. I don't wear a lot of makeup, but this is something I use daily. Works great and love that it's not toxic. Love the eye definer now that I ordered the sharpener for it. The pencil came with a wonderful point. The sharpener that you sent doesn't make such a good point. Why? I only use Dr. Hauschka around my eyes. Love the eye definer. Keep it thin or thick for more dramatic eyes. I've been using Dr. Hauschka for years. I love how soft and smooth this product goes on. The smudge sponge on the other end works well. My normal marker eyeliner from another natural company doesn't seem to stay in place all day. I bought this thinking it would. It doesn't for me at all BUT, before moisturizing, if I put this liner on and the marker one immediately over it, it stays all day without smudging and gives me a darker line. I've been using these eye definers for years! They don't irritate the eyes at all like other brands whose ingredients have chemicals so I always feel safe using this one, have one in every color. 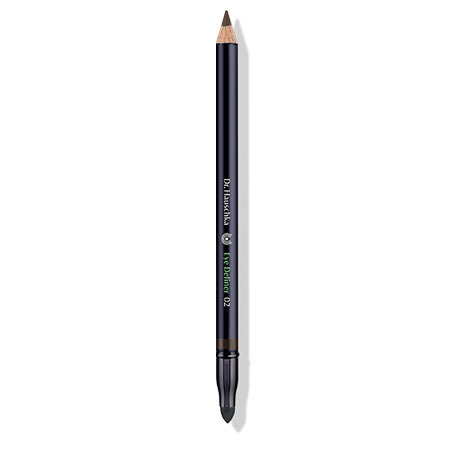 This is a fantastic eyeliner save for one thing: I got the shade Taupe only is isn't the grayish brown that the color taupe is supposed to be but it is a charcoal black,which I don't prefer. If only the shade were correct, I would have given this 5 stars. This eyeliner is as close to perfection as possible: Natural ingredients,rich color pigmentation,goes on as smoothly as silk,stays in place and lasts all day. The convenient sponge tip for smudging is another plus. The added benefit is that having sensitive eyes,like myself,can wear it. Best eye pencil ever. It is soft and stays put, great pigmentation. I have very sensitive skin but this pencil doesn't bother me at all. I don't rush to remove it at the end of a long day. I wish it came with a different mechanism that eliminated the sharpening process. Was hesitant with the color as always use brown but the purple adds a nice pop. I picked this up in the blue and my daughter took it. She loves the color and says it goes on smoothly and lasts very well. These are my only eyeliner pencils. Used the previous ones from Dr. Hauschka for decades and loved them. These are even better! Exceptional texture, and the new tip added for smudging is fantastic! Highly recommend. In these two colors, I love how soft they are to place a line under and above the eyes. The opposite end has a sponge to blend it easily. They are the best eye pencils of all I have tried. Violetta is a pretty color, yet natural. I have just replaced my former Hauschka blue eyeliner with this new definer. It is great! As it is a darker blue, I like to use it instead of black for a pretty day look. Congratulations on an outstanding product! I look forward to trying other colors. This is a very moist liner that provides the steady color. I use this for eyebrows and have used it for many years. I only use natural/organic things on my face and body and appreciate the high quality of all of these products. high quality eye pencil. The tiny smudge sponge on the end of the pencil is a great touch to help with blending. I've been using the Plum and Blue. This Eye Definer lasts a good while for a day look compared to other eyeliners I've tried.